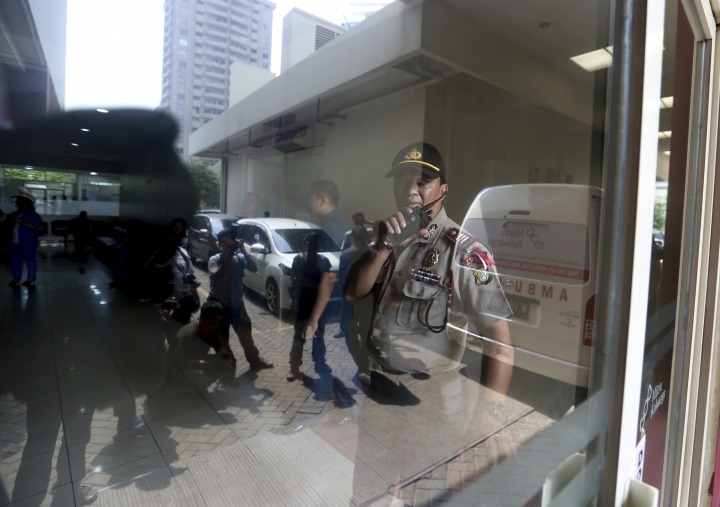 JAKARTA, Indonesia — Police said an anti-corruption commission investigator leading a probe into a scandal that threatens to implicate high-profile Indonesian politicians was attacked Tuesday with a chemical as he returned from dawn prayers. Novel Baswedan was attacked by two assailants on a motorcycle after leaving a neighborhood mosque, Jakarta police spokesman Argo Yuwono said. He said police are still investigating. 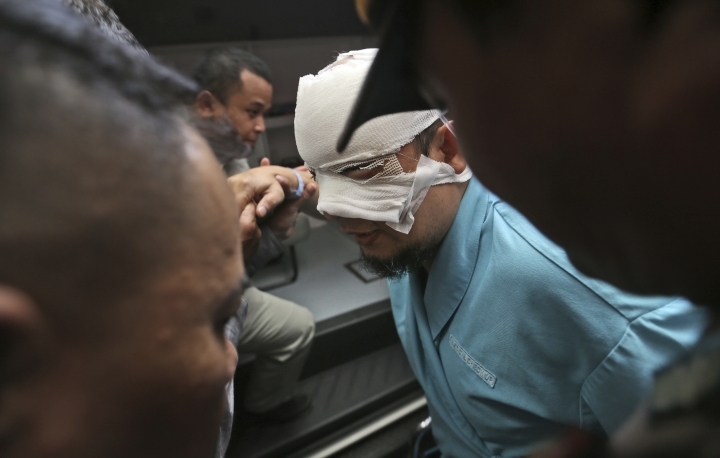 Baswedan's face was heavily bandaged when he was photographed at a hospital. Local media described the incident as an acid attack. The Corruption Eradication Commission is currently prosecuting a case in which it alleges about 80 conspirators and several companies stole more than a third of the funds provided for a $440 million electronic identity card system in 2011 and 2012. Some of those allegedly implicated have key roles in President Joko "Jokowi" Widodo's governing coalition. They include the justice minister, a former interior minister, the current speaker of parliament and two provincial governors. The names were revealed in an indictment presented to a special corruption court last month at the start of a trial of two Interior Ministry officials. 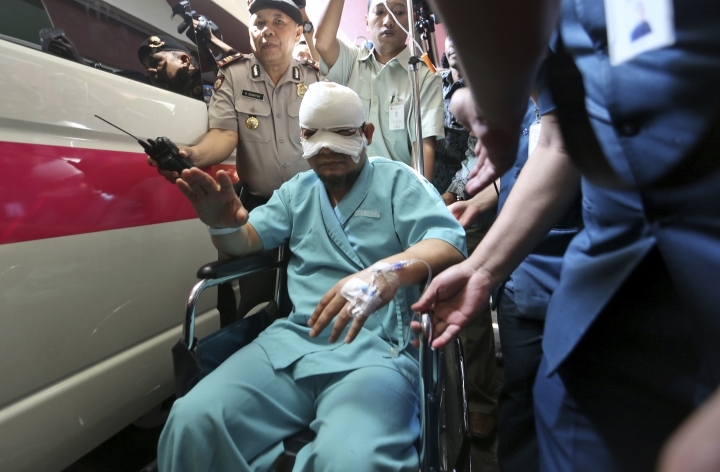 Jokowi condemned the attack on Baswedan as "barbaric" and said he has ordered police to capture the assailants. A statement from the commission said it "strongly condemns the barbaric act." They described it as form of terror and part of efforts to weaken the commission. "We assert that we will not retreat a single step whatever the consequence, because we believe that the struggle against corruption could not be stopped," the commission said. Baswedan was arrested by the national police in May 2015 when he was accused of fatally shooting a detainee while serving as a police officer in Bengkulu province in 2004. A public uproar resulted in police dropping the case. Many activists believed police were seeking revenge for Baswedan's role in investigating corruption among senior officers.